Junior Group Leader and Marie S-Curie Fellow studying the movement of plants and animals. I aim to understand how, why and when species move - and how their presence or absence affects communities and ecosystem functioning. Therefore I study ecology and evolution in freshwater ecosystems, using field- and lab-based experiments, population genetic analyses, radio-telemetry and advanced statistics. Welcome to my website! Please do not hesitate to contact me. 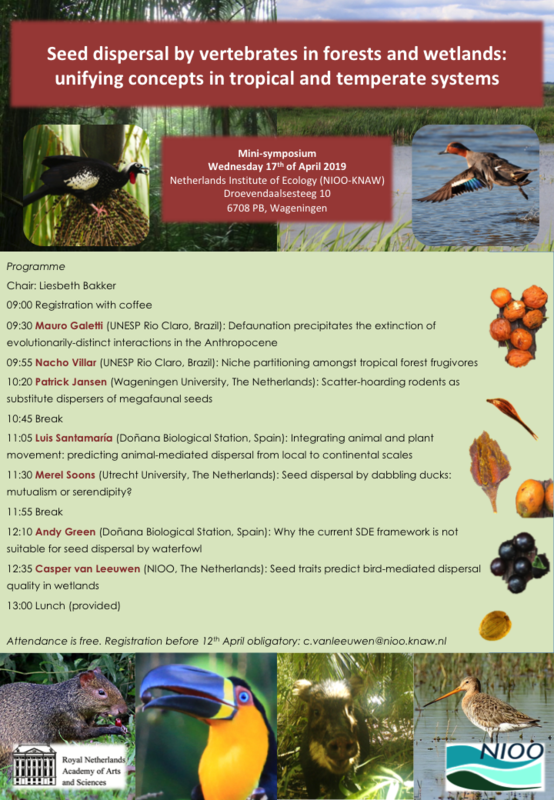 17 April 2019 - Seed dispersal symposium at NIOO-KNAW, see program here. Feb 2019 - Awarded a fieldwork grant from the Ecology Fund of the KNAW - this allows PhD Maria Jose Navarro to work on seed dispersal by geese! Feb 2019 - A warm welcome to PhD student Victor Martin from Donana Biological Station (Spain) for his research stay at NIOO-KNAW! 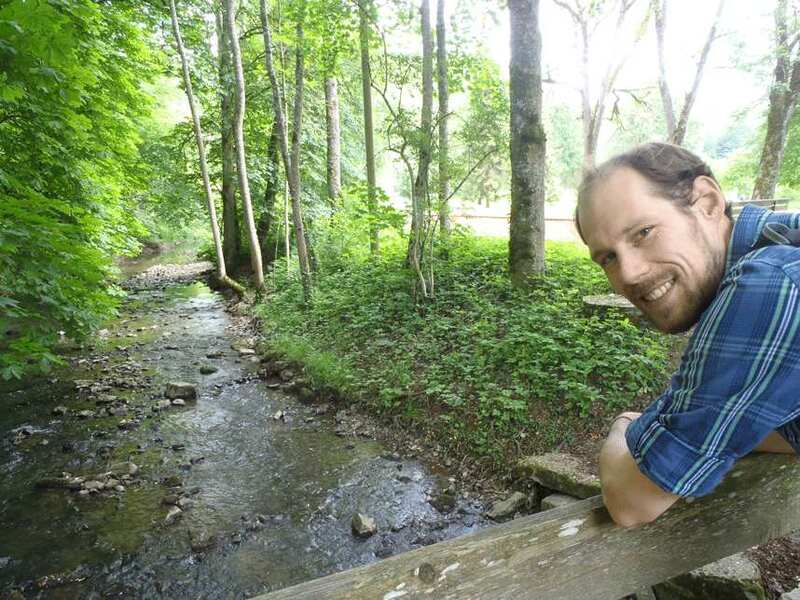 Jan 2019 - Robin de Vries started his MSc internship to investigate interactions between hydrochory and zoochory! 28 Sep - PhD student Peiyu Zhang successfully defended his thesis on climate and eutrophication effects on aquatic plants! 5 Sep - Our work on fen formation features in todays newspaper de Volkskrant!